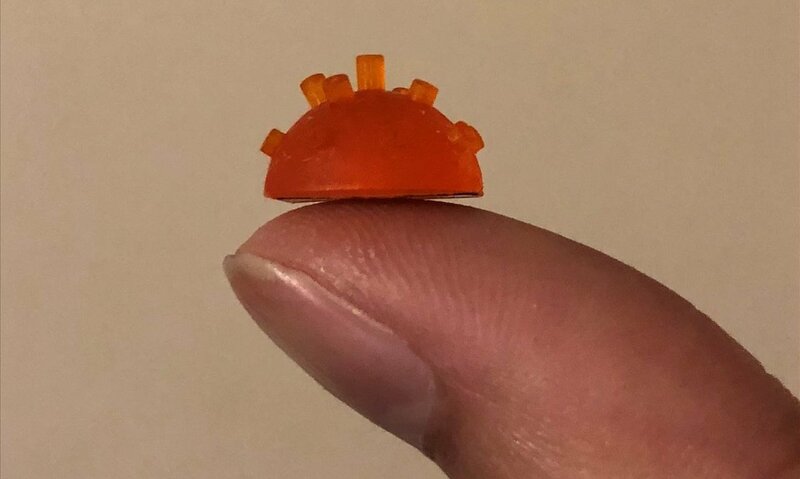 The Science and Engineering researchers have created a miniaturised pipe organ, based on the wide range of pipes seen in the full-sized instrument. The device has been designed to improve images, such as those of foetuses, from scanners by broadening the range of frequencies used to emit sound waves. The researchers have demonstrated its ability to produce these frequencies and have created the best designs for the organ by using a 3-D printer. Professor Tony Mulholland, Head of Strathclyde's Department of Mathematics & Statistics and a partner in the research, said: "Musical instruments have a wide variety of designs but they all have one thing in common – they emit sound across a broad range of frequencies. So there is a treasure trove of design ideas for future medical imaging sensors lying waiting to be discovered amongst this vast array of designs. "Around 20% of medical scans are performed using ultrasound. The scanner creates images by emitting sound waves with a frequency that lies above human hearing. The scanner operates at a single frequency—similar to a piano that can play just one note- and this accounts in part for the relatively poor resolution that one sees in ultrasound images. Prof James Windmill, of Strathclyde's Centre for Ultrasonic Engineering, who is also a co-author of the research, said: "Developing wide bandwidth ultrasound systems could give significant improvements in imaging capability. Using high resolution 3-D printers allows us to try new, three dimensional device designs with much faster development cycles. "Musical instruments create sounds over a broad range of frequencies and have been carefully designed over the centuries to be very efficient at doing so. It is well known that the highest frequency pipes are the smallest in length, as in, for example, a piccolo, so to realise frequencies that are beyond human hearing—ultrasound waves—the length has to be very small indeed, of millimetres in length. "This would be extremely difficult to construct using traditional manufacturing techniques such as those used to build musical instruments but the key is to use a high resolution 3-D printer."